After hi public show “Attractions Nocturnes” in 2015, his new series “Attractions Américaines” is a portfolio built over several years and many trips over the USA. The photographs presented here were taken among others in New York, Pennsylvania, Massachusetts, Ohio, Kentucky, Louisiane, Floride, Arizona, Utah, New Mexico, Colorado, Oregon, Montana, California etc. Through this photographic journey composed of about 40 large scale images, the raw material is indeed the USA, however Nicolas Auvray tells about his own personal experiences and that of the people he encountered, and that of his intimate relationship with this country. It is not about documentary photography here but rather he shares his surprises, his questions, his encounters and his discoveries. Through this w can feel his deep empathy for this country that has been hosting him for a long time. Attractions Nocturnes, the outdoor exhibition, is making its debut right in the center of Paris, starting 1 October 2015, presented by the City of Paris 1st District and the Bibliothèque Nationale de France (BNF). 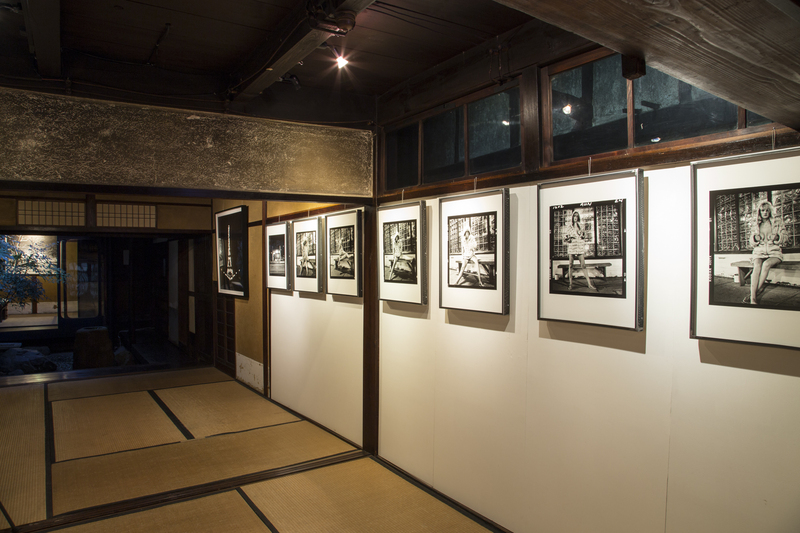 « Attractions Nocturnes » presents a series of night photographs. It begins as a night walk through the cities at night. Familiar places are re-discovered, figures appear and disappear in a darkness where metamorphosis and transitions take place. In these images, the city is a metaphor. Paris, Stockholm, New York…no importance… what matters is the universality of the impressions. Spectators are invited to explore other worlds and be transported in dreamlike scenes to follow their aspirations, and maybe deeper, darker passions and to look further in their identity. 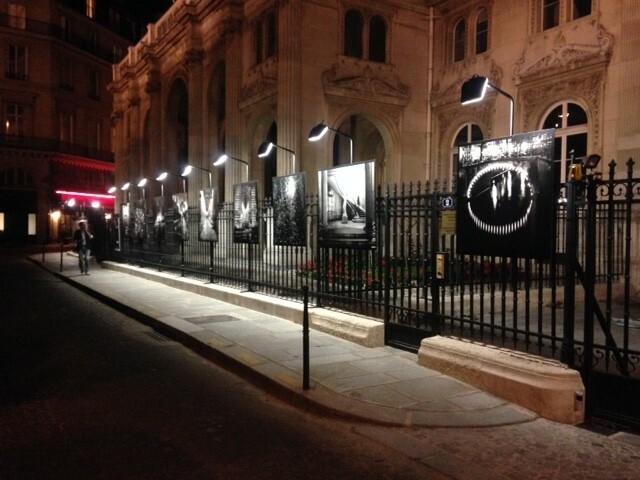 19 prints chosen from the Attractions Nocturnes portfolio will be will presented on the beautiful wrought iron fence of the town hall. Following the official opening on 1 October, the large-scale images will be presented to the Parisian and visiting public until 6th December in conjunction with the prestigious Paris photo art fair. The exhibition will be visible and open to the public 24 hours a day, 7 days a week. This exhibition is curated by American Master Printer, Educator, and Artist. Chuck Kelton. 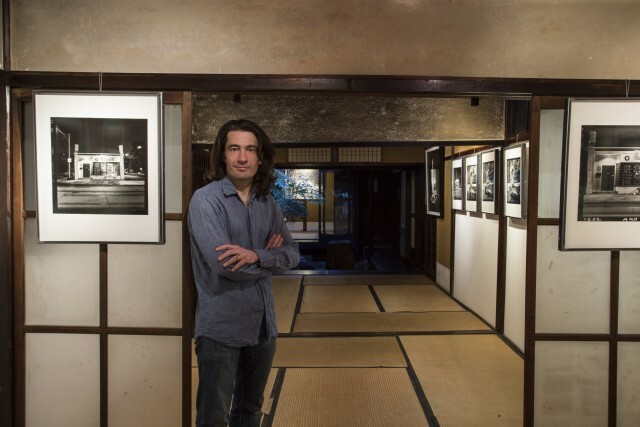 Chuck Kelton has worked closely with major American photographers such as Lillian Bassman, Robert Capa, Larry Clark, Jessica Lange, Saul Leiter, Helen Levitt, Danny Lyon, Mary Ellen Mark, Lou Stettner… Kelton Labs, which he founded in 1988, specializes in exhibition and portfolio gelatin silver prints. His work has been featured in numerous exhibitions and publications and is in the collection of the Bibliothèque Nationale de France. Héloïse Conésa, curator of contemporary photography collection at the Bibliothèque nationale de France contributed to the project and wrote the presentation text supporting the exhibition. 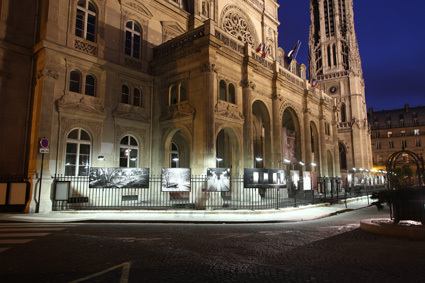 This exhibition is presented in partnership with the city hall of Paris 1st district and the Cultural Association of the 1st district. It is financed through the generous donations of corporate and private sponsors as well as an ongoing crowdfunding campaign. 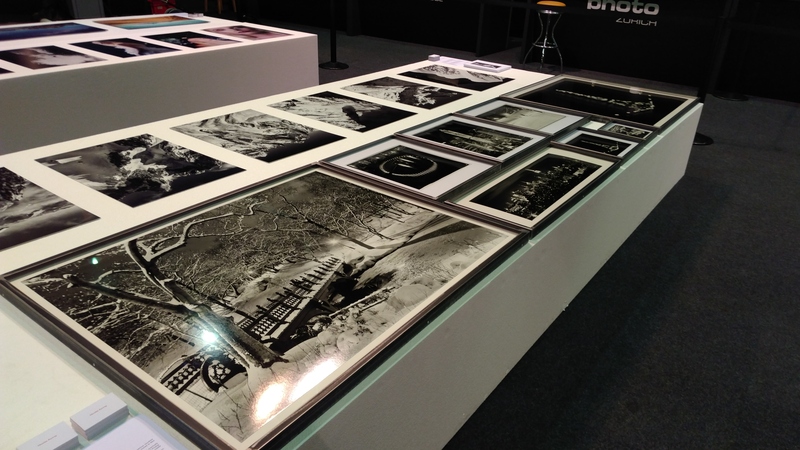 If you would like to support this exhibition please contact Nicolas Auvray. I am very proud to announce that the FJC, a Foundation of Philantropic Funds in the USA has selected the exhibition “Attraction Nocturnes” to provide its sponsorship, as a cultural event for the benefit of the public. FJC is a foundation and 501(c)(3) public charity which misison is to link cultural and charitable projects and donors. The “Attractions Nocturnes” still needs funding to close the budget. The actual cpsts of the show are 28,000 USD. At the moment I am personaly guaranteeing the budget with personnal funds. The sponsorship from the FJC allows American companies and individuals to make tax deductibe donations to support the exhibition. Donations made to the FJC dedicated to “Attractions Nocturnes” are used by the FJC to pay the invoices of the “Attractions Nocturnes” show production – no personnal benefit here. Better than crowdfunding as donations above 250$ will receive a receipt for tax deduction! Teh FJC also audits the account and requires detailed reporting the the project goals and achievements and financials. Checks are to be made payable to FJC. The name of the account, “Nicolas Auvray Photography”, must be referenced in either the memo line of the check or the document accompanying the contribution. Please note, that checks that do not clearly list FJC in the payee line may be returned. There is an unsettling quality in the photographs of Nicolas Auvray : their apparent familiarity is rendered strange by the palpable phantasmagoric element that provokes in the viewer a sense of mystery, the sort of feeling that belongs properly to nightfall and the imaginative state of being lost in the night. Night: not a “time of day” but a radically strange space within which the subdued radiance of a passerby or the naked glare of a streetlight might turn into our first points of reference. The deep velvet black of the prints establishes the backdrop for a subtle counterpoint of light and dark. Frontal shots, vanishing perspective, and simple architectural volumes are Auvray’s signal devices. Circles, semicircles, rectangles form the geometric pattern that we often see superimposed on twilight spaces. Highly structured within the confines of the frame, these compositions appear starkly formal when coupled with high contrast; their rigor is subdued and downplayed when paired with a full gray scale. In the context of carefully established balances, Auvray’s way of adducing instability – be it in the form of subtle asymmetries, surprising tonal shifts, or decentering – is a potent reminder of fragility and vulnerability of things and beings of the real world. In one of the photographs, the visual rhythm of a façade, whose bright walls are punctuated by deeply shaded metal grids, is interrupted by a door so brightly lit as to render illegible the space it leads into. Transitional spaces and desolate zones – doors, stairways, bridges, and tunnels – bring us face-to-face with a symbolic dimension that invites us on a course of nocturnal wandering or a temporary escape into a world that is affecting, perplexing, mesmerizing, even menacing. This is not the sphere of the picturesque; the photographer’s pursuit of an ambience entailed by transitions and waiting times pulls us away from ordinary visual awareness and towards a state akin to a rite of passage. Here, public gardens appear as gentle havens and twisted trees signal the way to Eden for the lonesome urban inhabitants, bringing tenderness and unexpected solace into the familiar experience of solitude. The misty surroundings that swallow the photographer and his subjects become a medium of sympathy between the two sides. Encountered in states of concentration or distractedness, introspection or exuberance, these subjects are photographed from a distance and through a dense atmosphere signaling a fundamental divide between the observer and the observed, even though we find both of them meandering down the same nocturnal maze in search of an exit – or an entry. The narrative aspect of the photographs – their sequencing and the resulting sense of phrasing – indicates the photographer’s consciousness of the narrative schema: in one photograph, Auvray takes his shot from beneath an arcade, the number “1” inscribed enigmatically on a pillar in plain view, a shred of white paper visible on the ground, all conveying an existentialist consciousness of solitude. And yet, this night is far from an undivided retreat of the imagination. We see it inhabited by others, whose startling innate uniqueness appears to part the enveloping darkness: a young woman wandering in a park, an odalisque disguised as a passerby, a group of friends, a family making their way through a tunnel. Human encounters dispel the night’s opacity and break the photographic moment out of time’s ordinary flow. A contemplative figure awaits a late bus; light gaping under a bridge; confetti raining down and forming a shining constellation on the asphalt: these bring the wakefulness of day into the night.